DJ’s Painting are the high-rise and mid-rise commercial painting contractors. We work with our national sister company, Retail Store Painting, to handle all large high-rise exterior painting projects. Owning the swing staging makes it easy to be competitive. All of our painters are certified to work on the swing stage, which means we can be very versatile in our placement of resources. 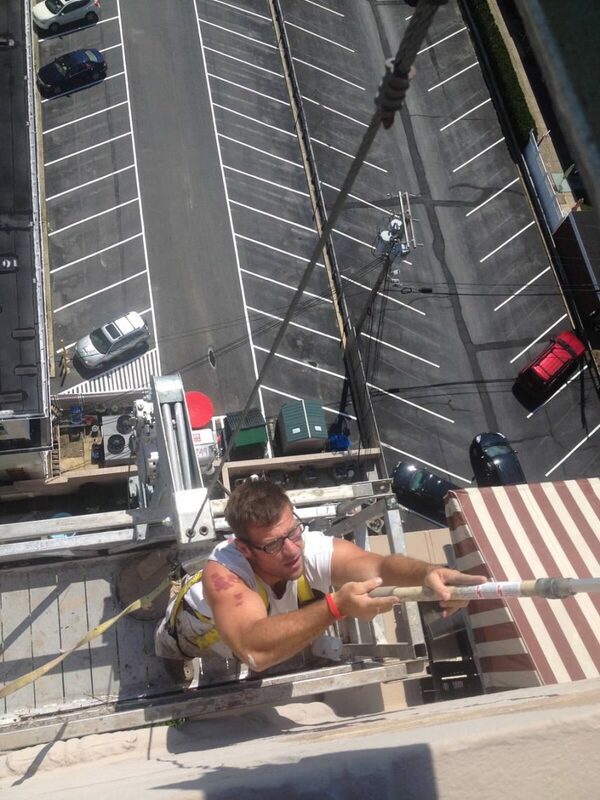 High aerial painting is not easy, but our expert painters make it look simple! 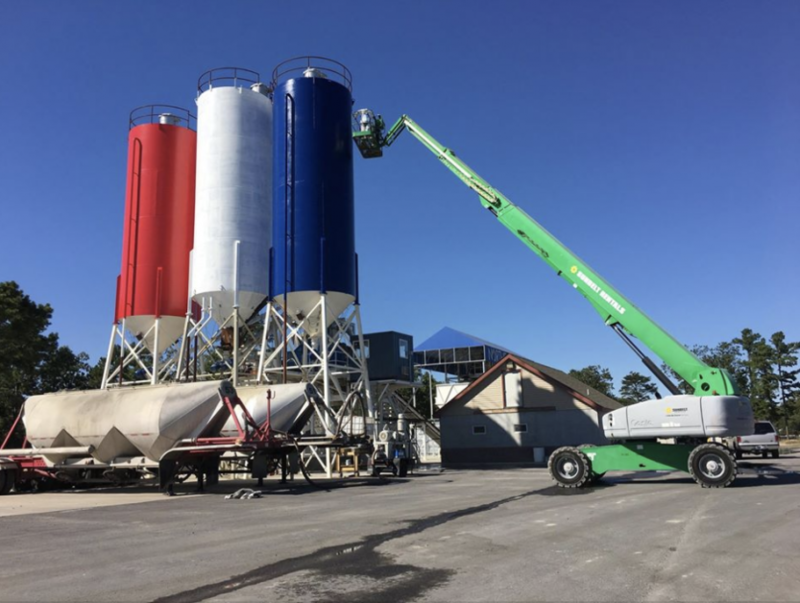 As for the mid-rise and other high aerial work, we have painted water towers, 10 story condo buildings in North Jersey, 16 story storage buildings in Brooklyn, 200 foot tall Stacks in Newark NJ, many 5-8 story buildings in South Jersey, and Assisted living facilities all over the tri-state region. Painting is just a small part of what we do when “painting” these type of buildings. When undergoing a large project, like repainting the exterior of one of these buildings, it makes sense to waterproof the building at the same time the painting takes place. We would remove and reinstall the control joint and seal up any cracks or potential points of vulnerability. 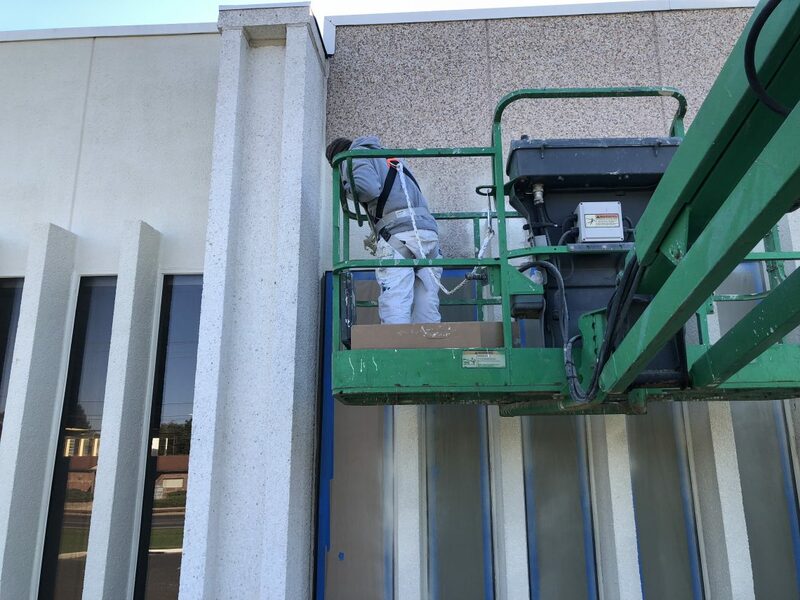 We are often tasked with replacing lights, patching stucco, repairing EIFS, and other projects on exterior substrates while we are in the areas. This all makes sense to maximize the efficiency of having the team up in the air on the various lift or scaffolding.